The AP family comprise free-field, pre-polarised systems combining mic capsules with low-noise preamplifiers. 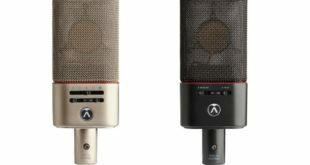 Audio Precision has introduced a new series of calibrated measurement microphones – the AP family. 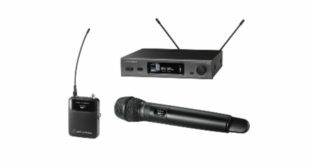 The microphones are free-field, pre-polarised systems combining mic capsules with low-noise preamplifiers, designed as an ideal complement to the APx line of audio analysers, software and accessories. The range includes two ½in and two ¼in measurement mics, as well as an occluded ear simulator. All units are pre-polarised, TEDS-compliant and CCP powered. 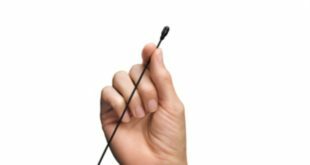 The microphones are calibrated, ensuring the best results when paired with calibrated instruments such as the APx515 Audio Analyzer and APx1701 Transducer Test Interface. 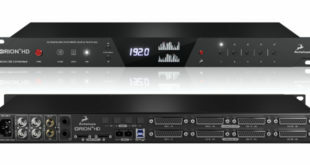 Each Audio Precision measurement microphone and microphone system is TEDS programmed to the IEEE 1451.4 standard for SMART transducers, v1.0 format. TEDS (Transducer Electronic Data Sheet) data contains microphone identification and calibration information that can be read by a connected instrument.